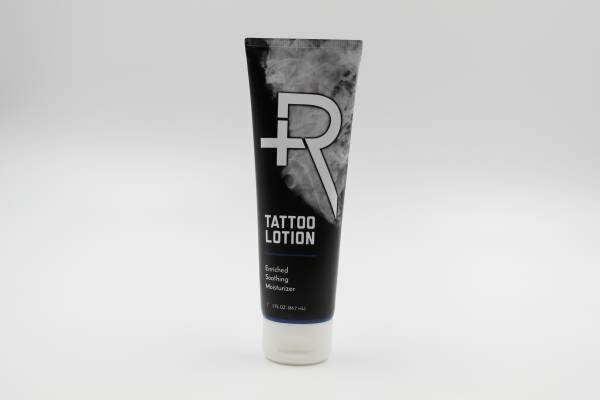 Recovery Aftercare Tattoo Lotion is a carefully formulated moisturizer that can be used daily to nourish skin and replenish its natural moisture. This vegan-friendly lotion is rich with luxurious, soothing emollients such as shea butter, jojoba seed oil, grape seed oil, and Bisabolol essential oil for organic skin hydration. The soothing, non-sticky application gives your skin the comfort it craves, while the lotion works to preserve colors of new and/or existing tattoos, encouraging tattoo vibrancy, and rejuvenating dry, irritated skin.